Monsieur Louis, Martin-Vézian from Contemporary Issues & Geography (CIGeography) prepare this wonderful picture where you can visualize easily all nations and all warships taking part in Joint Warrior 2015-1 exercise. 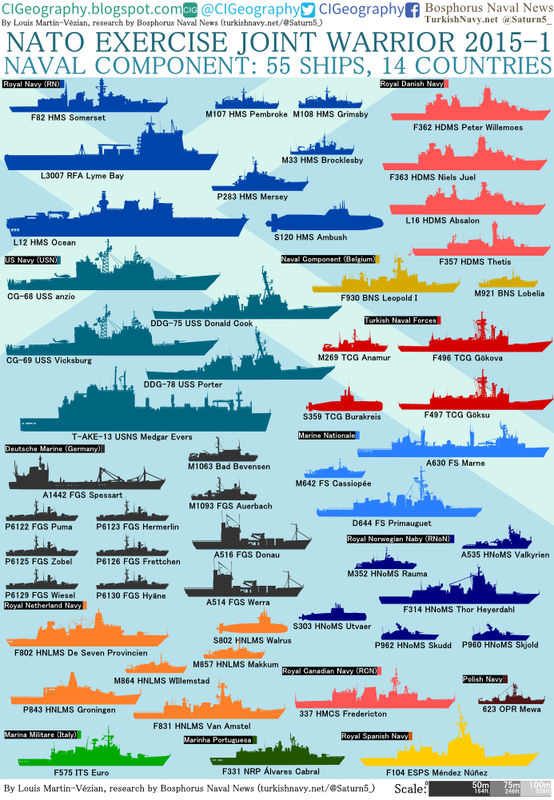 According to media sources there are 55 warships taking part in Joint Warrior 2015. The below list has 55 of them. Mister Nils K Haugen for correcting the name of HNOMS Skjold. Any further corrections and additions are always welcome.